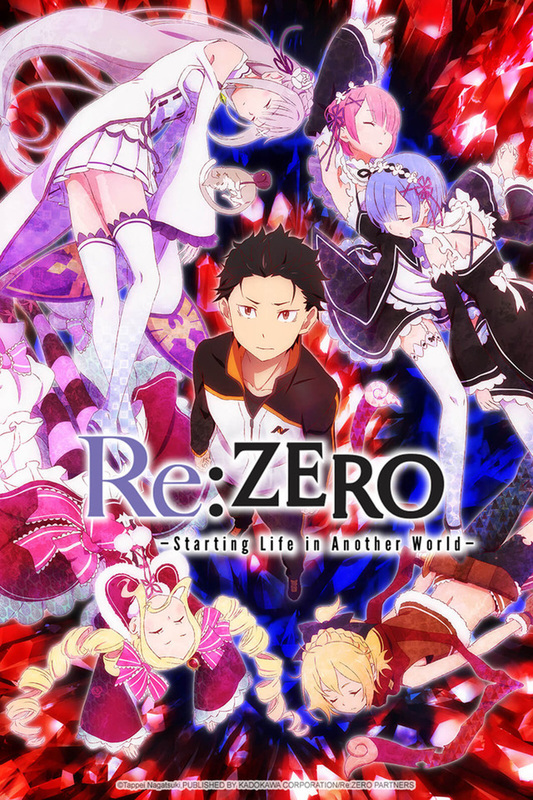 Re:ZERO -Starting Life in Another World- was originally aired from April 2016 to September of the same year. The story starts with Subaru Natsuki, an everyday teenagers whit no real accomplishments buying some food at a convenience store. So it comes as quite a surprise when, leaving the store, he finds himself in a completely new place inhabited by all manner of anthropomorphic creatures. Armed with his bag of shopping and a useless phone Subaru sets of on his grand quest, which is abruptly cut short after he gets beaten mercilessly by some thugs in an alley. To his great fortune and a beauteous girl named Satella turns up in peruse of a thief. She fights off the thugs and heals Subaru using her magical powers. As thanks (and for an excuse to get close to her), Subaru offers to help her find the thief. Thus catalyzing the Subarus new life. My Review: Probably one of the bigger titles of 2016, Re: Zero managed to make several impressions on me over the year. So when I came to watch it I was expecting to get nothing new. But I was completely and entirely wrong, I absolutely loved this show. I fell in love with its concept and constantly found myself relishing in many of the twists and turns of the plot. We get to see multiple angles of most of the characters, along with a great deal of what I would describe as raw emotions. It’s hard to put into words, but I found many things to love about this show. If the was one show I would want to see a second season for then this would be it. I strongly recommend this to anyone who loves strong phycological horror and/or fantasy animes. I rate this anime 4/5.